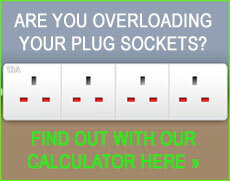 Why to choose us as your local Watford electrician? We can supply a highly qualified electrician in Watford and surrounding areas in no time at all. At dkp Electrics, we specialise in all aspects of electrical work and problem solving is a key service we regularly carry out. We are an NICEIC Approved Electrical Company, so you know your in good hands when putting your trust in dkp electrics when it comes to the expertise required to safely complete any necessary electrical work. All electrical work will be carried out to the highest standard and in compliance with the latest wiring regulations. Our team work with everything from Photo voltaic Solar panels and steel wire armoured cabling to security lighting, extractor fans, ovens and of course boilers. Watford, a few miles outside of northwest of London is one area we carry out a large amount of electrical work in. We regularly have electricians working this area so we can have trained staff with you in no time at all should any wiring faults or issues of your concern arise. One typical example of work we carry out would be jobs such as loft extensions or basement conversions. If you need some help or advise in reducing your energy bills or maybe you are interested in having solar panels installed on your roof then our highly skilled team will be able to assist you with whatever your requirements could be. With high energy prices set to stay, energy saving is one service we highly recommend. If you discover any electrical problems that you need fixing or anything you're concerned about then now is the time to get things checked out. Don't ignore electrical issues that arise no matter how small, they could turn into a much bigger problem further down the line. We also offer a 24 hour emergency call out service so you won't need to worry if any electrical problems develop because we can have experienced electricians in Radlett, Watford, all over that area of London immediately. To discuss your electrical needs with an Watford electrician then contact us today for a free quote!